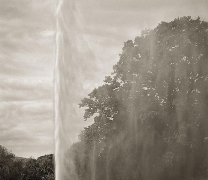 Joseph Bellows Gallery is pleased to present an exhibition of photographs by Beth Dow. 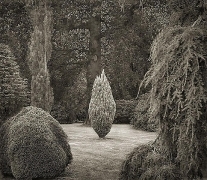 The exhibition will feature a selection of Dow's photographs from her series, In the Garden. The exhibition will be on view from January 23rd through March 7th, 2009. An opening reception will be held on Friday, January 23rd (5-8 pm). 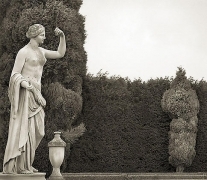 Interested in garden history and historical concepts of paradise, Beth Dow photographed formal English and Italian gardens in her most recent series, In the Garden. 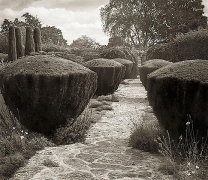 For Dow, the shape and mystery of these places not only offer glimpses of the rich traditions of garden making, but also reveal attempts to control and dominate nature. 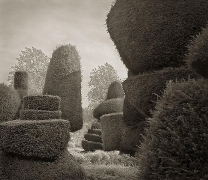 Dow aims for pictures that have a meditative quality to reflect the spiritual urges that inspired the earliest gardens centuries ago. 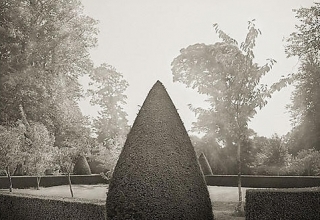 Dow's photographs describe both the appearance and the experience of these spaces. 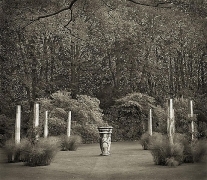 Carefully placed classical statuary, urns, and pillars stand still in these intricately planned, perfectly manicured gardens. 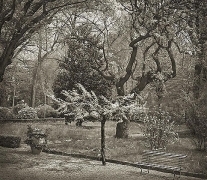 The viewer can sense that all is quiet in these spaces but for the hum of insects and rustling of leaves. 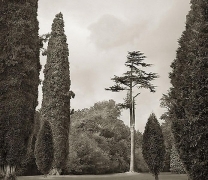 Dow's photographs are imbued with the sense of stillness and timelessness these gardens' visitors must experience. 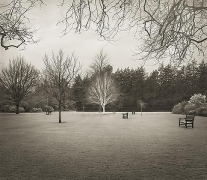 Dow's precise compositions and the richness of her platinum-palladium prints, compliment the texture and precision of the landscapes she photographs. 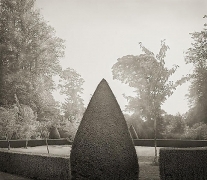 As her camera explores the shapes and corners of these spaces, Dow guides the viewer's eye through her pictures, and she too becomes a gardener in a sense. Beth Dow grew up in Minneapolis. 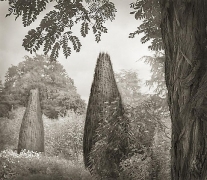 She later moved to London, where she developed her eye for unusual landscapes and became interested in the ways we interact with our environment. 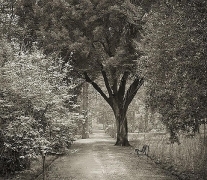 Her pictures are shot with hand-held medium format rangefinder and 35mm SLR cameras and printed in platinum-palladium. She has received several awards, including a fellowship from the McKnight Foundation and an Individual Artist Fellowship from the Minnesota State Arts Board. 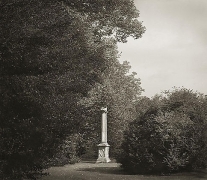 Dow's photographs are included in the permanent collections of the Minneapolis Institute of Arts, the Museum of Contemporary Photography, Chicago, and the Portland Art Museum. She currently lives in Minneapolis.